If you’re a music fan, the Coachella Valley Music and Arts Festival is the place to be year in and year out. 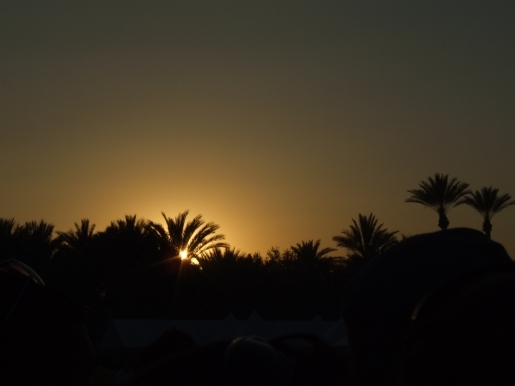 The 2011 Coachella music festival is no exception to this rule. The 2011 Coachella Music Festival lineup has been released, and it’s a killer show. The headlining acts include the Kings of Leon, Kanye West, The Strokes, and The Arcade Fire, and that’s not including the other acts showing up like Duran Duran, Lauryn Hill, Bright Eyes, The Black Keys, Cee Lo Green, The Chemical Brothers, Flogging Molly (my favorite band EVER, by the way), and a whole lot more. See the full lineup at Coachella.com. That’s the great thing about Coachella. Every year, you NEVER know who is going to show up. There are up-and-coming bands, reunited legends, rarely-seen side projects, and all kinds of awesome surprises out in the Colorado desert. It’s an incredible thing, and if I could go to any current music festival, it’d be Coachella. There’s never been a disappointing Coachella show, and they just seem to get better and better. Granted, I’m not crazy about hanging out in the deserts of Indio, California, but it’d be worth it. Promoter Goldenvoice goes crazy with the great acts, year after year, and 2011 seems to be one of the best lineups yet. This is an incredible job by all involved. Here’s hoping nobody drops out (or if they do drop out, they get replaced by someone better).